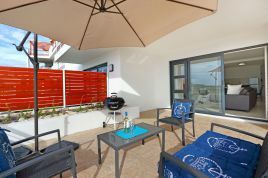 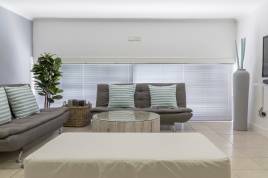 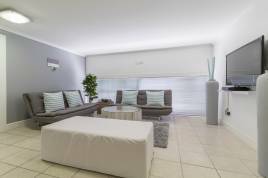 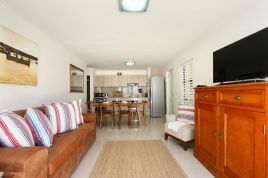 The word azure literally means "bright blue" and the stylish and contemporary apartments forming part of this complex offers guests wonderful views of azure blue skies and, only a few metres away, the stunning Atlantic Ocean itself. 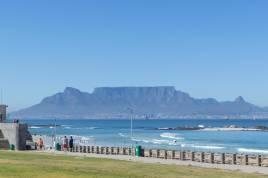 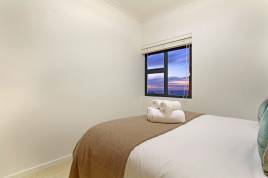 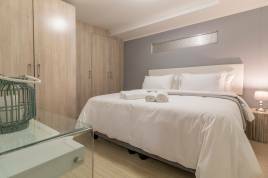 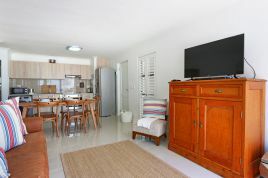 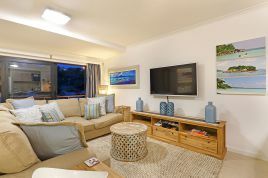 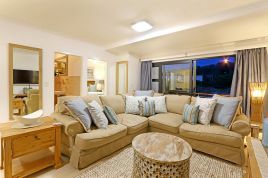 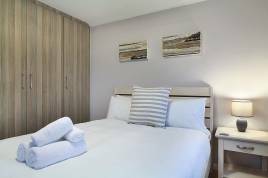 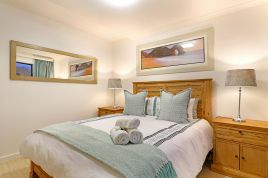 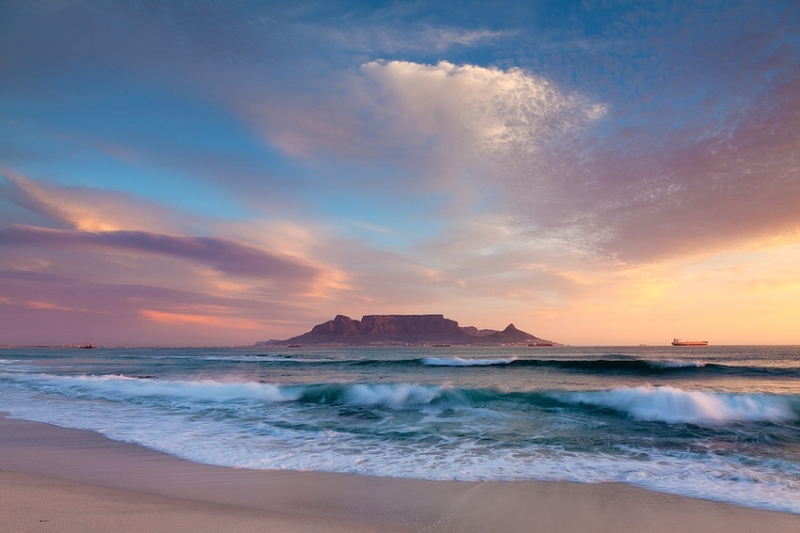 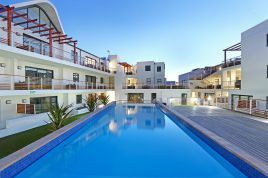 While staying at the Azure complex, guests can enjoy being within walking distance from Big Bay beach, which is home to the annual "Red Bull King of the Air" surfing competition – this beach is famous for its amazing surfing waves, while also displaying views of Table Mountain that are truly breathtaking. 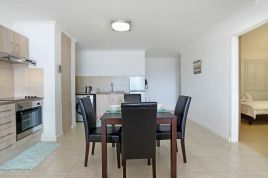 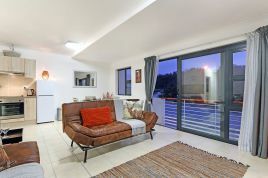 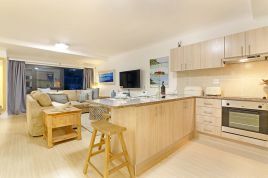 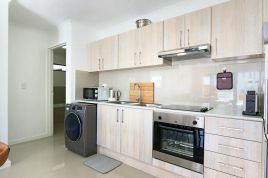 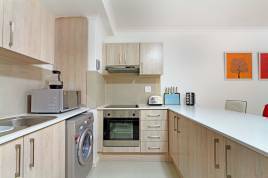 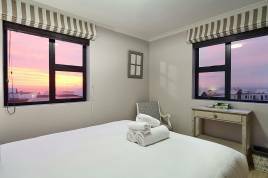 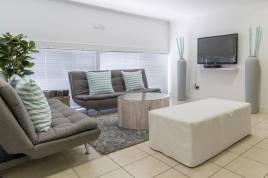 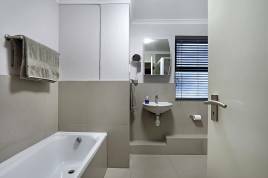 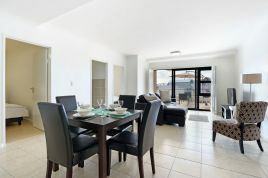 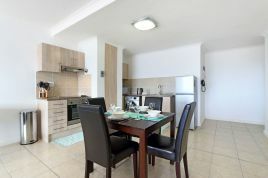 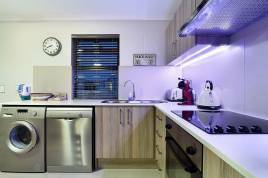 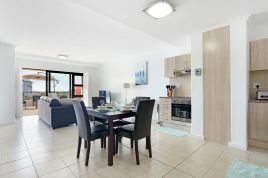 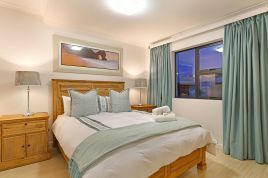 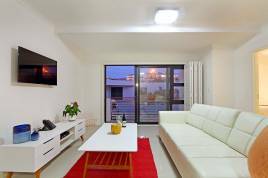 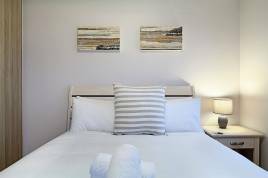 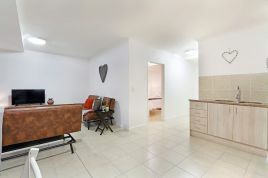 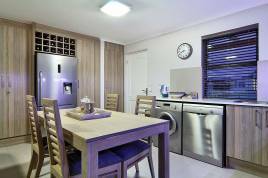 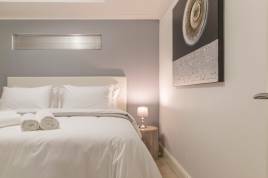 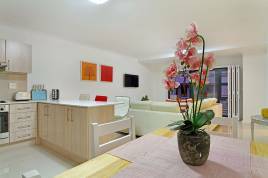 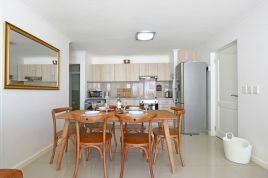 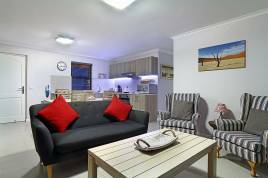 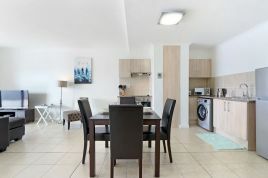 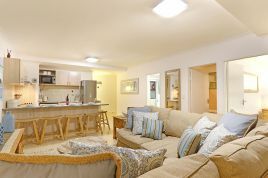 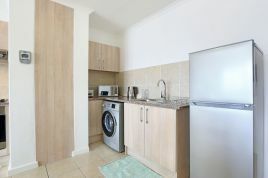 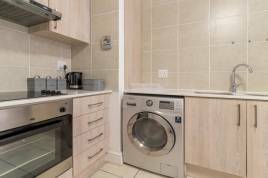 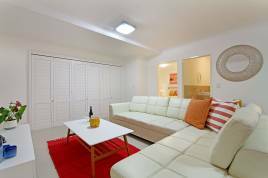 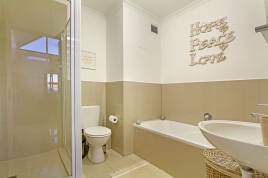 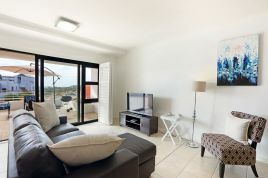 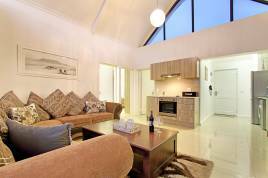 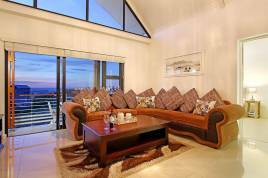 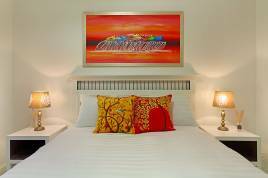 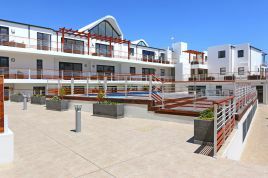 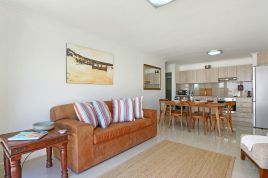 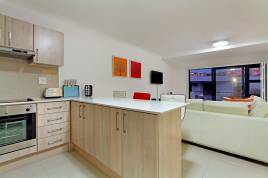 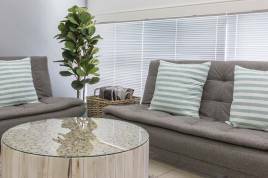 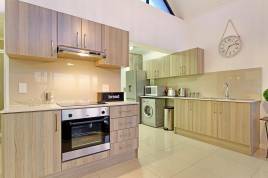 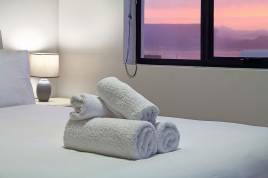 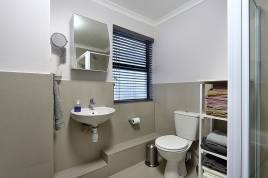 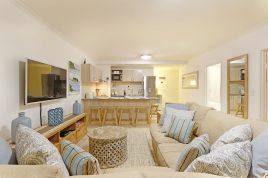 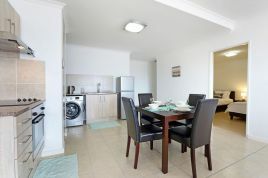 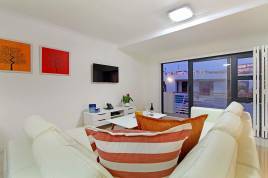 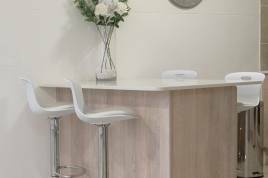 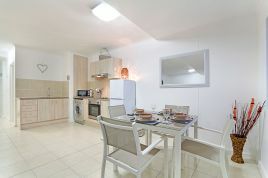 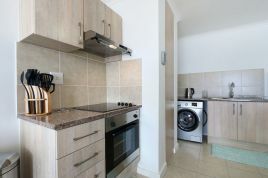 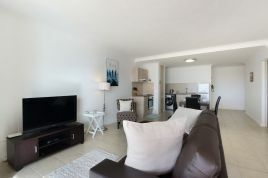 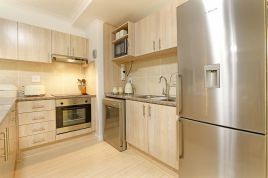 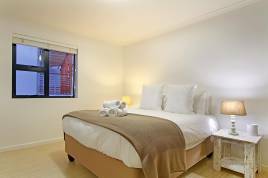 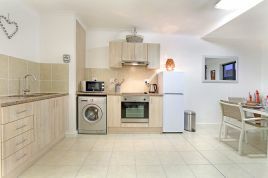 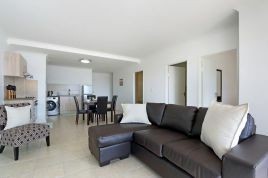 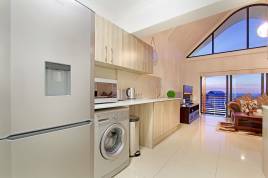 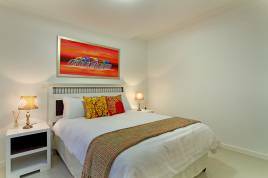 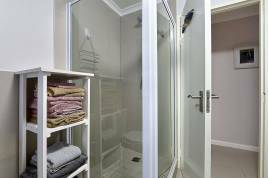 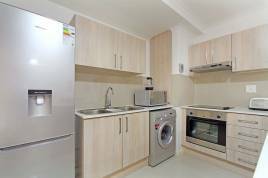 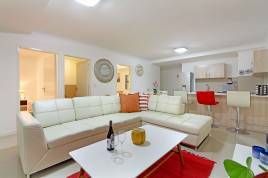 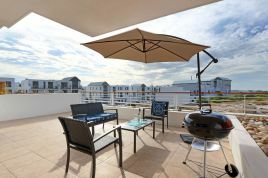 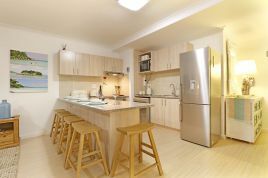 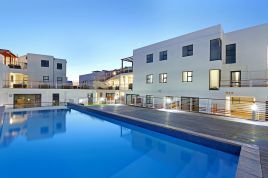 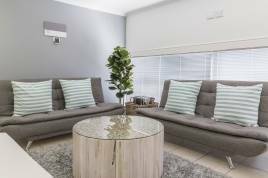 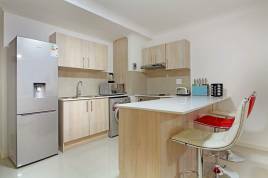 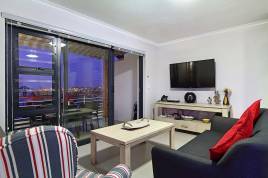 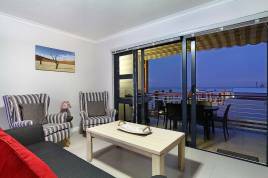 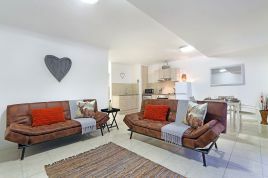 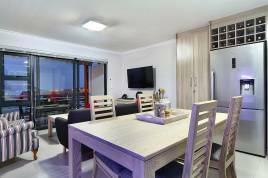 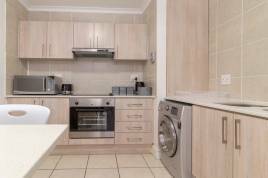 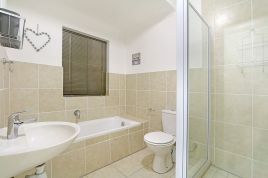 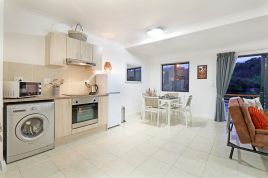 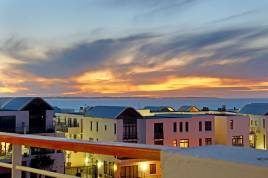 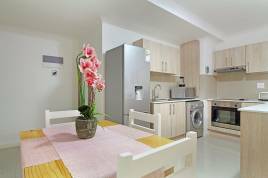 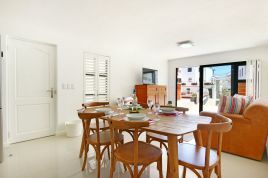 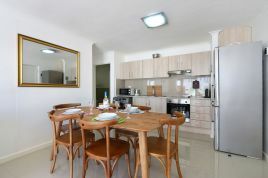 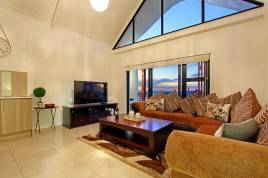 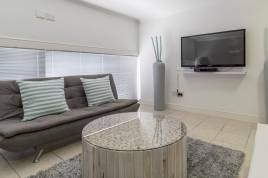 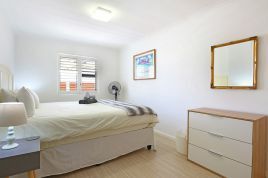 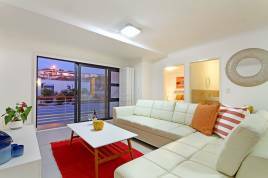 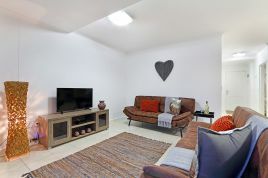 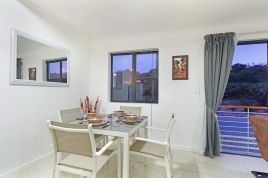 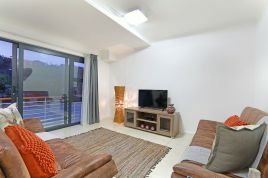 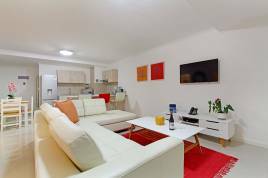 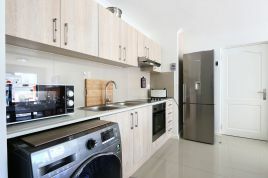 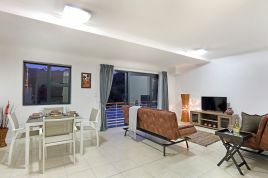 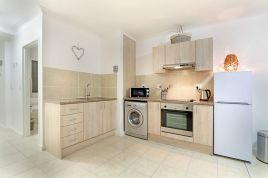 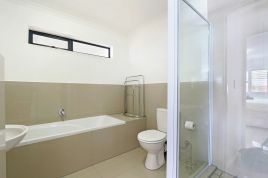 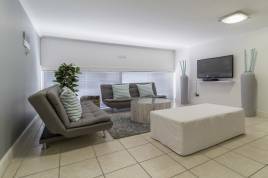 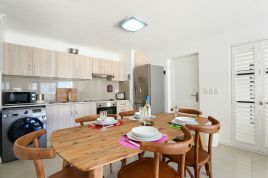 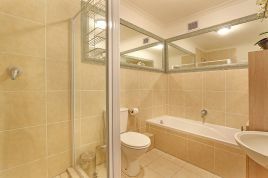 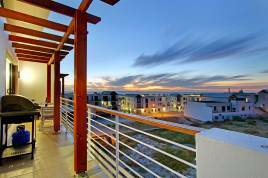 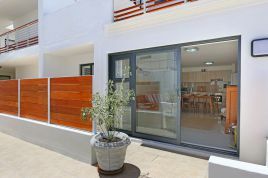 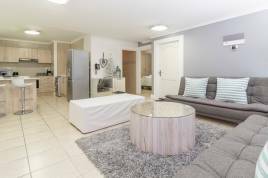 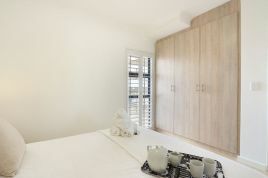 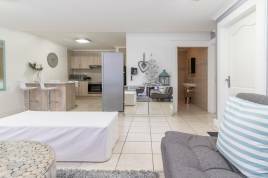 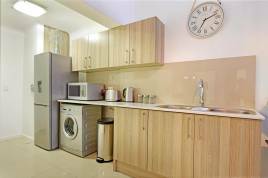 The impressive portfolio of properties managed by the experienced team at Blouberg Holiday Rentals includes a selection of self-catering apartments within the Azure complex. 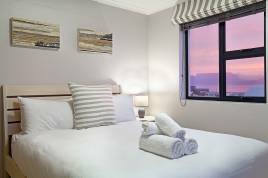 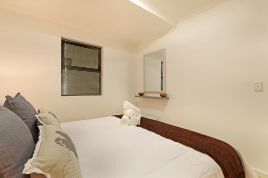 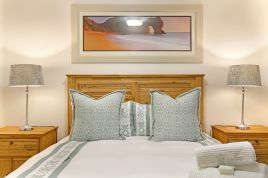 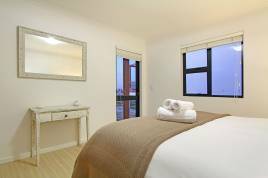 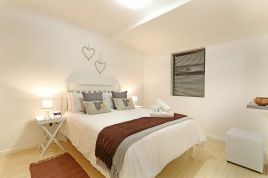 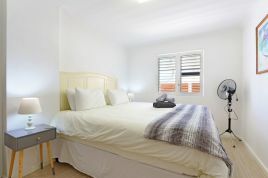 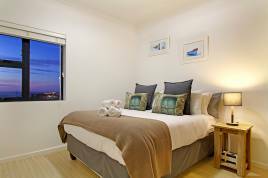 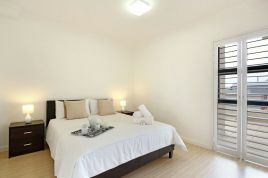 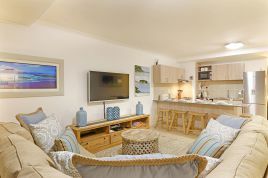 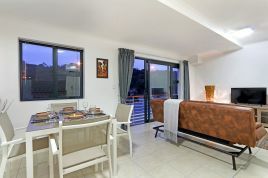 Situated at Big Bay with all the excitement of Eden on the Bay on offer, Azure provides guests with sophisticated and beautiful holiday accommodation options, within walking distance of some of Cape Town's very best restaurants that can be found along the famous Eden on the Bay promenade. 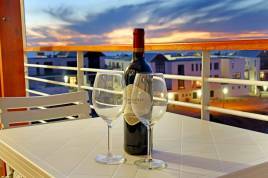 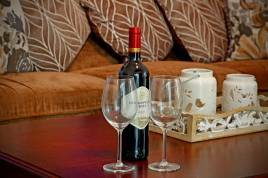 Indulge in sundowners with friends or dine in style. 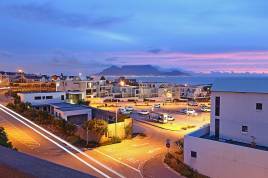 The Azure Apartment blocks are "inspired by the ever-changing ebb and flow of the tides", located only a 30 minute drive from Cape Town's captivating city centre. 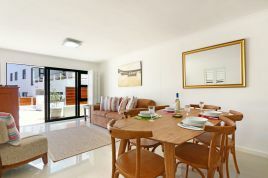 Combining seaside living with luxurious modern day designs and so much for the whole family to enjoy, it is not hard to see why Azure is enjoyed by guests from around the world, time and again. 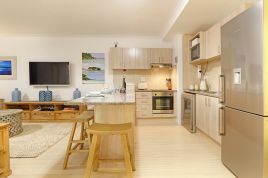 With additional extras like secure undercover parking and a sparkling blue swimming pool, Azure complex is the ultimate location.